Capt. Terry Dahl of the GRAND SLAM, a 46-foot Hatteras, raised this 1171-lb blue marlin for anglers Ron Walker and Walt Mahoney Jr. 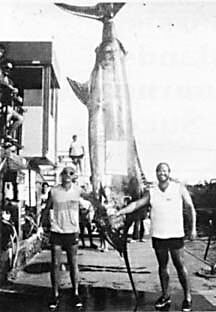 It was the first charter-caught grander in 1988.